A series of festivals and events in Dumfries and Galloway generated more than £6m for the local and Scottish economy in late 2018. The analysis from Dumfries and Galloway Council shows that the 20thannual Wigtown Book Festival had an economic impact of £3.75m, the Electric Fields music festival £1.45m, the Stranraer Oyster Festival up to £1.1m and the Galloway Hills Rally £120,000. The rural Scottish region is now gearing up for a bumper year of cultural tourism, international arts festivals and major sports events. The events covered in the analysis are all funded by the council as part of its Major Events and Festivals Strategy 2018-2021. Councillor Adam Wilson, Dumfries and Galloway Council’s Major Events Champion, said:“The variety of events and the enthusiasm of the teams behind them is extraordinary – together they offer a foretaste of what we have to come in 2019. “The oyster festival is just two years old and has already grown into a superb event with the potential to help regenerate Stranraer in the same way that the book festival has supported the economy of Wigtown over the last 20 years. “Electric Fields is also going from strength to strength, with a superb line-up of performers and attracted more than 8,000 people to Drumlanrig last year. And the Galloway Hills Rally is absolutely thriving. These successful events, all in September, took place in the same year that saw the opening of the new £3.2m Kirkcudbright Galleries, which are home to the magnificent Kirkcudbright Artists’ Collection which includes works by the likes of John Faed, Edward Atkinson Hornel, Jessie Marion King and Samuel John Peploe. In 2019 Dumfries and Galloway will have more attractions than ever. The year will kick off with the Big Burns Supper festival, followed by the opening of the new National Centre for Children’s Literature and Storytelling at Moat Brae House, Dumfries, in the spring. In May and June there will be Spring Fling, Scotland’s premier open studios contemporary visual art and craft weekend, the 10-day Dumfries and Galloway Arts Festival (celebrating its 40thyear), the Scottish Rally and the Eden Festival. Electric Fields will be moving to an earlier date, taking place at Drumlanrig Castle from 4 to 6 July, 2019. Alex Roberts, Director of Electric Fields,said:“In 2018 we enjoyed our most successful year with our biggest capacity to date, but still maintained a special family-friendly atmosphere. To have the legendary Noel Gallagher perform at Drumlanrig Castle was a completely surreal experience and relished by all. “As part of our ever-growing event, the funding we receive from Dumfries and Galloway Council is invaluable. They share our vision and passion to evolve the D&G festival, tourism and economic scene. The Galloway Hills Rally is jointly run by Solway, Machars and East Ayrshire Car Clubs. In 2019 it will be the final round of the British Rally Championship, which will considerably raise its profile, prestige and visitor numbers. 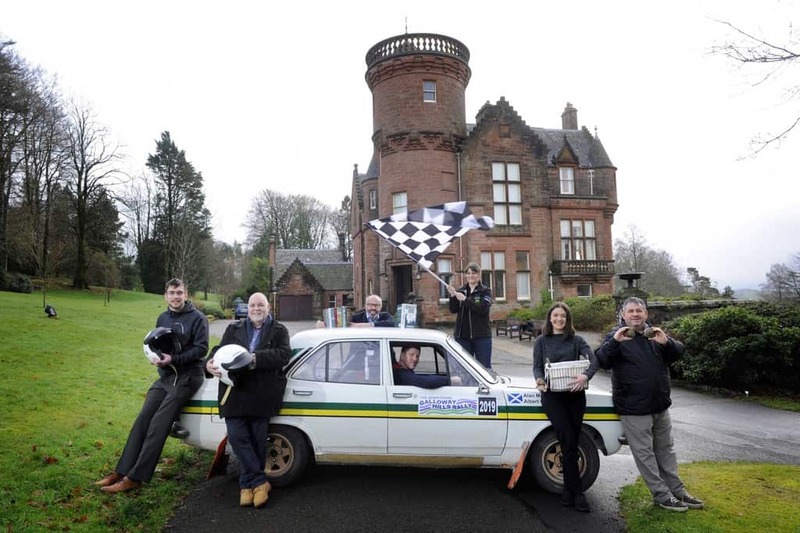 Kirsty Riddick, a member of the organising committee, said: “Our 2019 event will be the 46th annual running of the rally, and is set to be our biggest yet, as we under take organising two separate events for the Scottish and British Rally Championships. This will bring new challenges to our small but dedicated team, but we are up for the test. This would not be possible without the invaluable continued support of Dumfries & Galloway Council, and our title sponsors, The Armstrong Group. Stranraer Oyster Festival has become a high profile event in just two years, attracting 14,000 visitors in 2018 and raising awareness of Scotland’s native oysters, which are fished nearby. Wigtown is Scotland’s National Book Town and the festival has grown into a successful and much-loved feature in the country’s annual events calendar. Finn McCreath, Vice Chair of Wigtown Festival Company, said:“The 20thfestival was an outstanding event, attracting record visitor numbers and ticket sales. “It really shows how the public sector can work with communities to develop cultural events that are highly successful in attracting visitors, promoting the arts and regenerating local economies. DGC’s Major Festivals and Events Strategy is supported by VisitScotland. Paul Bush OBE, VisitScotland’s Director of Events, said:“Dumfries and Galloway has gone from strength-to-strength as an events destination over the years.